An introduction to horizontal yoyoing behind the back. Now, to do this trick, first you need to know how to do Horizontal Eli Hops, as we showed in our Horizontal Circular Eli Hops video, and Horizontal Skin the Gerbil. So if you are not comfortable with those tricks, make sure you check out our videos for those. Just like how we mentioned in those videos, you always want to learn a horizontal trick vertically first. So to do this trick vertically, you throw a trapeze. 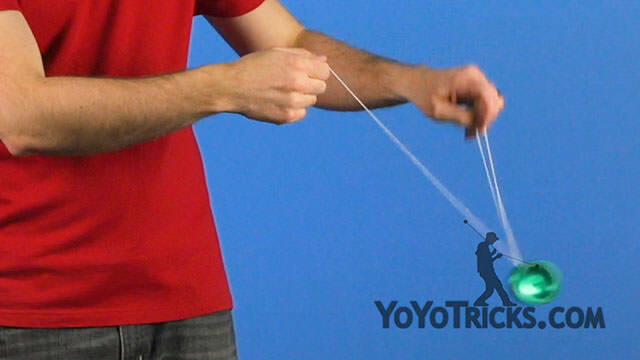 Then you want to swing the yoyo to the front of the string between your hands. Then swing it once more on top of the trapeze. Then you can unroll twice, swinging the yoyo toward your throwhand side, landing it on top of both of these strings. Then unroll toward your non throwhand side, and do just the same element. Swing to the front and then swing on top and unroll twice, and do two Eli Hops. Go into an undermount and perform a bind. And you should recognize all these elements from Skin the Gerbil and from Eli Hops. Now before we start doing this sequence horizontal, first we actually want to practice it behind the back vertically. So I am going to throw the yoyo directly behind my back. Land it onto a trapeze, then I can do just that same sequence, and then I am going to do onto an undermount and do a bind. The bind that I am going to do is the third bind in our Go-To Binds video, which looks like this. To show that in front of me, you always want to swing the yoyo toward your throwhand side to do the bind because that is really the only bind that works when you are doing behind the back horizontal. So once you have the vertical in front of yourself, and vertical behind the back version of this trick down, very fast and very smooth, then you can start thinking about the horizontal in front of yourself version. This is one that you are really going to want to spend some time with, because it is the version of the trick that most directly translates to the fourth, and final version, which is the behind the back horizontal gerbil combo. This behind the back horizontal version back be really challenging at first because so many of the things that you are used to doing in both vertical yoyoing and horizontal yoyoing kind of go out the window. So we are going to start building this trick from the bottom up. The first thing that we want to take a look at, before we even get to the throw, is your posture during the trick. So during vertical behind the back yoyoing, typically you lean back in order to give yourself as much space as possible. But with horizontal behind the back yoyoing, you actually want to lean forward a little bit so that your head can turn and see what is going on to either side of your body while giving yourself all the space that you need. While keeping that in mind during the whole trick, now we need to start thinking about how to properly throw the yoyo. Just like with the conventional horizontal throw where the yoyo is held in the hand slightly tilted, instead of holding our forearm up, you want to point your throwarm down. Then you can swing our throwhand toward our throwhand side. Right before our arm is fully extended, we can let go of the yoyo and the yoyo is going to swing around to our non throwhand side. We can catch this string and start doing horizontal pinwheels. 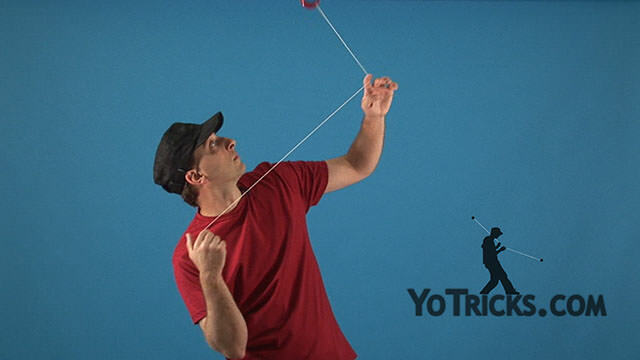 Now, just like how I mentioned before, what you know from horizontal yoyoing kind of goes out the window because your arms are pointing down instead of up. So this means that while you are doing the pinwheels, you might find that the yoyo goes more vertical or more horizontal than you might like. So you are just going to want to practice the throw and the pinwheels and see if you can keep the yoyo in plane while doing the pinwheels. While we are working on keeping the pinwheels in plane, you are of course going to need to bring the yoyo back to your hand. So let us go over how to properly bind behind the back before we move onto the elements in the gerbil combo. So while doing the pinwheels, you want to swing the yoyo into a trapeze by landing it onto the side of the string that faces forward. From there, you can hop the yoyo directly off of the trapeze, stick out your middle finger, and go into an undermount, and swing your hands behind your back, just like this, in order to do the bind. Of course, because the yoyo is spinning horizontally, gravity is trying to pull the yoyo down. What is critical is that you go into the undermount with a lot of speed and you really try to swing that yoyo as hard and as fast as you can, catching the yoyo with the back of your hand facing forward. So, this is something that you just really want to do a lot of drills with. Throwing the yoyo, doing pinwheels, trapeze, and the bind, and the catch. Because once you have all those things down comfortably, you will feel that you have much more control when you are doing behind the back horizontal tricks. Really, it is going to make the process of learning how to do the combo much easier. So, once we have all that down, let us take a look at the first element, which, done vertically looks like this. There is some specific tips that you really want to pay attention to while doing this. Of course, you are going to throw the yoyo horizontally behind your back, go into a trapeze, and then just practice doing that. So you just do the first element of the trick, unwind, go directly into an undermount, and perform a bind. You want to practice this one element just like how we practiced the throw and the bind, by constantly drilling it over and over until you can always keep the swing under trapeze, undermount, and bind in plane. When you are doing this, you might find that the yoyo or the string drops off and they can be really difficult to recover. If that happens, you might just have to swing the yoyo in front of yourself and wind it up again, that is totally fine. The best way to avoid the yoyo dropping off of your finger is actually to go faster. Because your finger is pointing down, the string can slide right off. So, the faster you are going, the more the string will pull to the sides and hopefully the string will not come off of your finger. 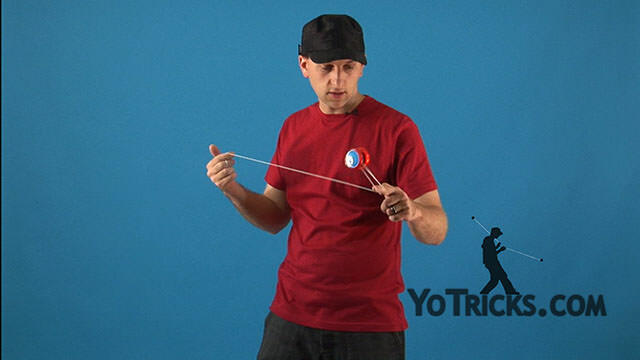 As we know from the other versions of this trick, the next step is swinging the yoyo over to your throwhand side, and do a Double On. When you are doing this behind the back horizontally, there is a couple of things to keep in mind. 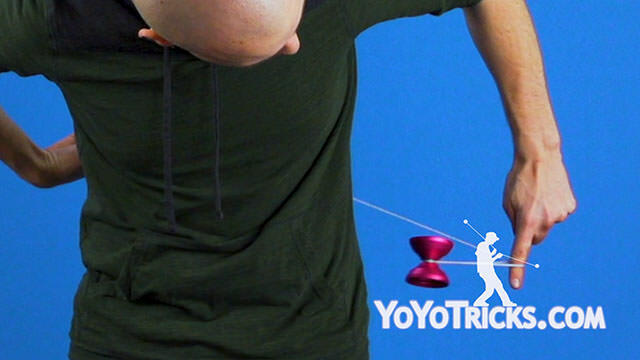 The first is that this element functions just like the bind, where the yoyo is swinging really far behind your back, so it is much more likely to drop down too low. So, just like with the bind, we want to make sure that the yoyo is moving as fast as we can possibly make it so that it stays as horizontal as possible. If you go too slow, what you might find is that the yoyo drops much too low to make contact with the string, and it can drop right out and that can cause a whole host of issues. The best way to combat that, I find, is to actually try to swing the yoyo up a little bit, right before it touches the string, so you see here that I am raising my throwhand which helps a lot with the accuracy. 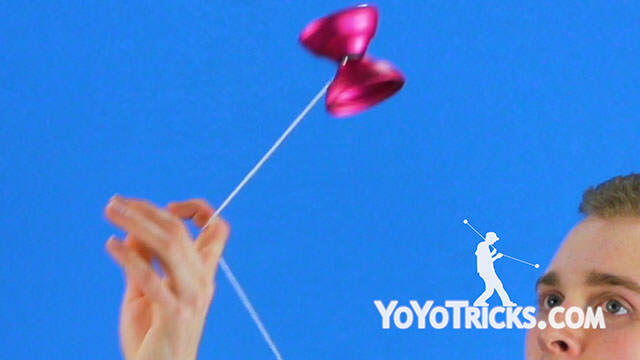 After the yoyo has touched the two strings on your throwhand side, you want to swing the yoyo back over to your non throwhand side, of course as fast as you can. Then, just was we learned in the other versions of the trick, after swinging it over to your non throwhand side, you do the same element as you did at the beginning. Then you can unroll the yoyo and go directly into a bind. So this sequence is not the whole trick. But, it is a very smooth sequence that is easy to repeat, and it is easy to practice. So once you have that down, now you can start working on the real flare of the trick, which is the behind the back eli hops. To do those, those function just the same as conventional horizontal eli hops, where you have to pop the yoyo slightly above the plane of the yoyo. If you are not quite sure what I am talking about there, then you definitely are going to want to check out our Horizontal Circular Eli Hops video, which explains that concept a little bit more in depth. So, to do horizontal behind the back eli hops, you want to throw the yoyo horizontally, behind your back and land the yoyo onto a trapeze. 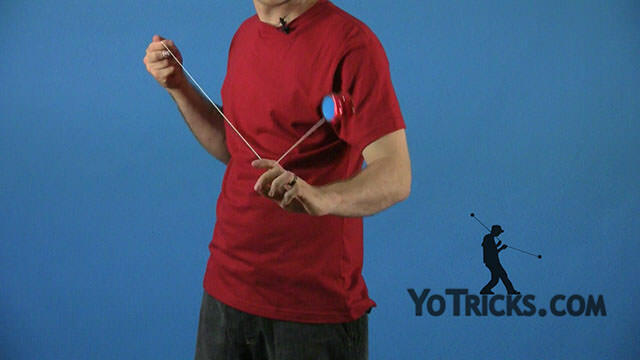 Because you really have no time to spare, you want to pull your hands apart as quickly as possible, launching the yoyo forward. 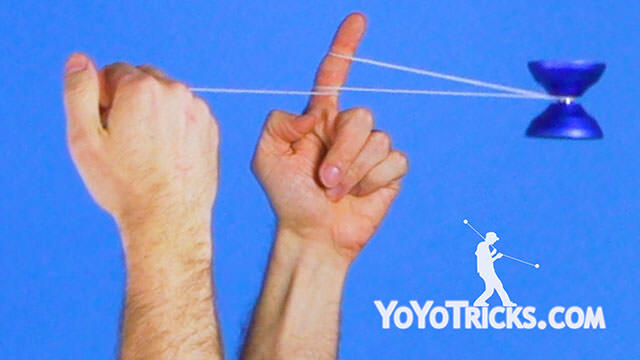 When you are first doing this, you just want to try to hop it once, land it back on the string, do a bind, and bring the yoyo back to your hand. Once you have that down, then you want to see if you can hit it two times in a row, which is what we show at the beginning of the video as part of the gerbil combo. So, once you have the horizontal eli hops down, then it is time to combine it with the gerbil combo. To do that, rather than, at the end of the gerbil combo, rather than going directly into an undermount, instead, as we are unrolling the yoyo, we are just going to pull our hands apart and do the eli hops. So when you put that all together, it looks like this: throw, trapeze, swing under, swing to the throwhand side, swing under, pull apart, pull apart, undermount, and bind. And that sequence might take a lot of practice, but do not get frustrated, do not pull your hair out, I believe in you, you can do it. And that is an introduction to Horizontal Behind the Back Yoyoing.